PALM OIL IS BAD FOR EVERYONE! Why should we concern ourselves about what is happening half a world away, when we have so many problems at home? 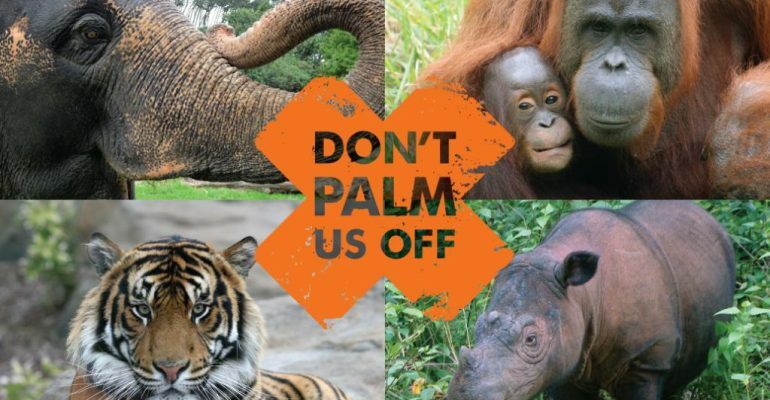 Because our demand of palm oil is destroying families, indigenous peoples, forests and their inhabitants, particularly, but not only orangutans. Because of ongoing and angry debate, we offer the following information. 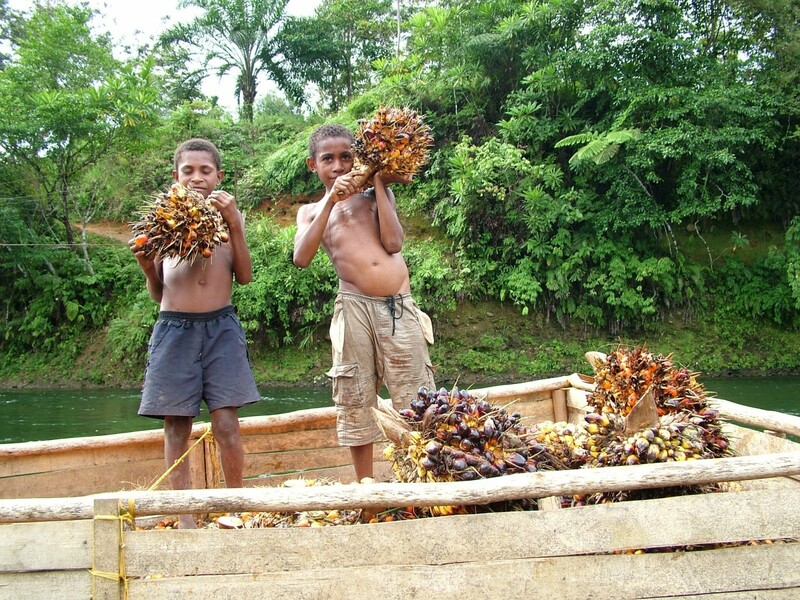 NOTE Not all Palm oil is automatically bad – Certain supplies of Palm Oil are from South America, which is sustainably grown and harvested, from areas that were not primary forest sites, and where 10% of the area is set aside or remains a wildlife corridor to allow the free movement of inhabitants. There are also Rainforest Alliance Certified options, that improves the live of farmers, protects the wildlife and waterways and conserves forests. Food for thought: Worried about palm oil? No body asks about ethically sourced olive oil. Because we don’t live in a vegan world, it doesn’t exist. Has anyone thought to check how many thousands of rare native Australian parrots are killed each year to reduce olive orchard damage, nut orchard damage and stone fruit orchard damage? Sometimes 10,000. Every year thousands of kangaroos, parrots and other native animals are killed by farmers to produce wheat, nuts and fruit. There’s no moral difference between Australian killed wildlife and Malaysian killed wildlife. There’s no moral difference between eating palm oil and eating olive oil, peaches or almonds. To say that palm oil and orangutans are more important than olive oil and corellas is quite simply speciesist. Encourage certified sustainable farm practices, yes. Cultivate a gradual transition to a vegan world by conducting peaceful vegan education, yes. But boycott palm oil? No. It doesn’t make anymore sense to boycott palm oil than boycotting olive oil, bread, pasta, fruit and nuts. Even if the boycott was successful, farmers would just grow something else like bananas. Palm oil is *not* the drive behind rainforest destruction as only 3% of cleared Malaysian rainforests were replaced with palm oil and of that 80% of the product produced from the plantations are used as livestock feed. If you want to see where the Malaysian rainforests have gone, you’ll find in the cardboard packaging of cereal boxes because it’s timber that’s the main drive of the forest clearing. There is a lot of discussion about whether palm oil is vegan. The TL:DR is – palm oil is a plant, it is definitely vegan and if we genuinely want animal liberation, campaigning against it is actually counter-productive to our aims. 1. The biggest cause of environmental destruction and species extinction in terms of food production is without a doubt, animal agriculture – by a long shot. So our priority should be on ending animal agriculture. If we focus on palm oil or any other specific useful crops rather than ending animal use then we create an extra pressure for new and potential vegans that might make them think twice about ditching their use of animals. We also give non-vegans yet another excuse (not like they need any more of those!) as to why they should avoid making a change to veganism. Not only that but if animal agriculture was to come to an end, there’d be a vast amount of land freed up for planting palm and other crops because as we know, it takes many times more land to produce a pound of animal protein than it does to produce a pound of plant protein. 3. A lot of palm oil is planted on land that has already been cleared for another purpose – such as illegal logging, or narcotics. So when the palm oil industry is singled out as the cause, it’s not entirely accurate and is actually a distraction from a number of very serious environmental problems. 5. If you’re going to object to palm oil then to be consistent you should probably be objecting to bananas, coconuts, mangoes, sugar, and all other crops that come from tropical plantations. When we put it like that, doesn’t it seem a bit crackers to say things like bananas and coconuts aren’t vegan? More on this here http://eatingconsciously.tumblr.com/post/30330216488/palm-oil-is-vegan. So to sum up – palm oil comes from a plant, so it’s definitely vegan. Palm oil has its merits, environmentally speaking, compared to other oils. Palm oil is a single issue campaign that promotes speciesism and can actually distract from or give some people the excuse they were looking for not to become vegan. Veganism is the best chance we have of solving the issues of environmental destruction and species extinction, and therefore we must recognise that no matter how much our heartstrings are pulled, we must be rational and focus on promoting veganism – nothing less will do. Deforestation for the establishment of palm oil plantations is responsible for habitat loss for threatened and endangered species. 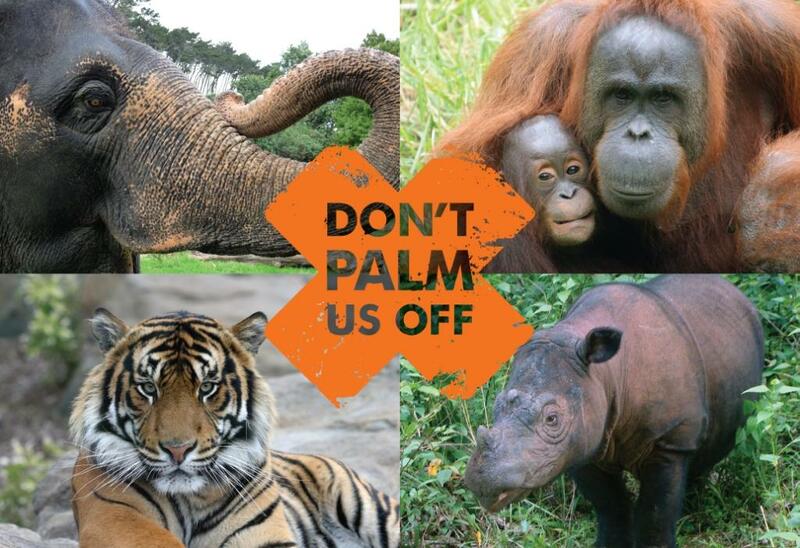 Priority species impacted by forest clearing are the Asian elephant, tiger, Sumatran rhinoceros and the orangutan. Nearly 80 mammal species are found in Malaysia’s primary forests but in contrast, disturbed forests have just over 30 mammal species, while oil palm plantations have only 11 or 12 (Wakker 1998, in Clay (2004) “World Agriculture & Environment”). Similar species reductions occur for insects, birds, reptiles and soil microorganisms. Borneo and Sumatra are two of the most bio-diverse regions of the world, yet they have the longest list of endangered species. This list includes the magnificent orangutan. Despite amazing biodiversity, an area the size of 300 football fields of rainforest is cleared each hour in Indonesia and Malaysia to make way for the production of one vegetable oil. That’s 6 football fields destroyed each minute. This vegetable oil is called palm oil, and is found in hundreds of the everyday products, from baked goods and confectionery, to cosmetics and cleaning agents… many of which you buy in your weekly shopping. Borneo and Sumatra are two of the most bio-diverse regions of the world, and have the longest list of endangered species, including the orangutan. Despite amazing biodiversity an area the size of 300 football fields of rainforest is cleared each HOUR in Indonesia and Malaysia, to make way for the production of one vegetable oil, called palm oil, found in hundreds of everyday products, from baked goods and confectionery, to cosmetics and cleaning agents. In Malaysia, there are an estimated 50,000 stateless Indonesian children living in Sabah province, the country’s palm oil producing heartland. Thousands more have come from the Phillipines, born to workerswho arrived in waves since the 1970’s to fulfill a demand for cheap labor, in what is now the world’s second-largest palm oil industry. In some cases, land has been developed by oil palm plantations without consultation or compensation of the indigenous people occupying the land. This has occurred in Papua New Guinea, Colombia, and Indonesia. In the Sarawak state of Malaysian Borneo, there has been debate over whether there was an appropriate level of consultation with the Long Teran Kanan community prior to the development of local land for palm oil plantations. Appropriation of native lands has led to conflict between the plantations and local residents in each of these countries. According to a 2008 report by NGOs including Friends of the Earth, palm oil companies have also reportedly used force to acquire land from indigenous communities in Indonesia. Additionally, some Indonesian oil palm plantations are dependent on imported labor or illegal immigrants, which have raised concerns about the working conditions and social impacts of these practices. 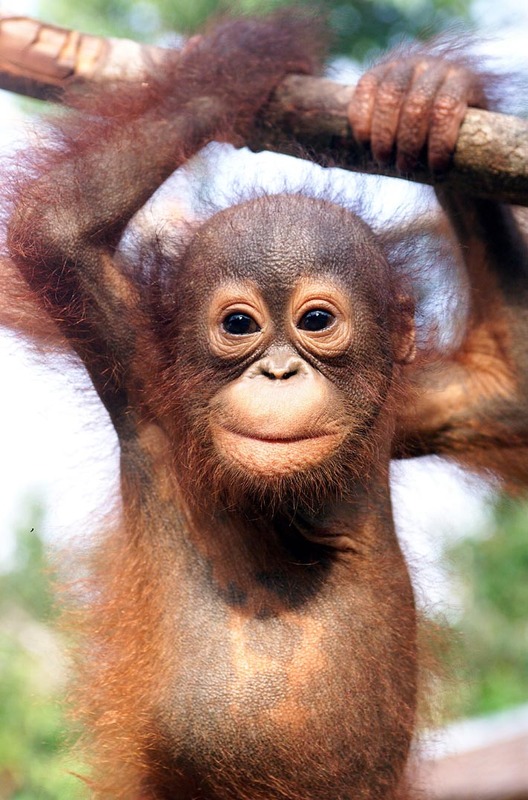 Orangutan means ‘Person of the jungle’ in the Indonesian language. It is estimated that 6 to 12 of these ‘jungle people’ are killed each day for palm oil, when they wander into a palm oil plantation looking for food, or sold in the illegal pet trade after they’ve been captured and kept in extremely poor conditions and provided with extremely poor nutrition. Orangutans are considered to be pests by the palm oil industry, so they are often run over by logging machinery, beaten to death, buried alive or set on fire. If a female orangutan is found carrying a baby, the mother will be killed and the baby taken and kept as a pet, or sold on the illegal pet trade and in some cases shipped overseas, often within Asia, or sometimes countries like the United States. They are used in the entertainment industry, where they are locked away and beaten in Asian tourist parks and circuses in order to learn tricks for human entertainment, or used in films and television adverts all over the world. In some cases, the absolute unthinkable is done to female orangutans – they are captured and used in Indonesian brothels as prostitutes; where they are tied down and raped on a daily basis. Data concludes that over 50,000 orangutans have already died as a result of deforestation due to palm oil in the last two decades. Experts say that if this pattern of destruction and exploitation continues, they will be extinct in the wild within 3 to 12 years, in other words they could be gone by 2016.